Sometimes, you just need some serious professional advice to know if you’re headed in the right direction of your health and fat loss your goals. Consultations are great for defining and creating a plan and for caring and non-judgmental support. Are you seeking accountability and ready for a REAL commitment? The Lean Body 4-Week Comprehensive Coaching Experience is for YOU! Lean Body Transformation Goal Setting Session - 60 mins. Four - 30 minute motivational coaching session per week. Learn strategies to overcoming food temptations based on your individual ‘triggers’. 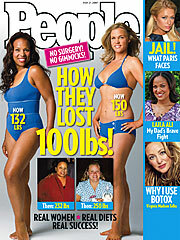 Secret tips, tricks, strategies to help you change your body and mind for fat-loss success! Group support with other participants in the Closed Facebook Group! (Lifetime member). 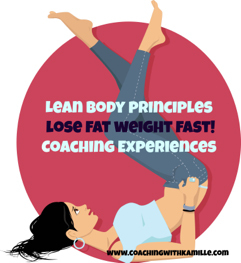 FREE BONUS #1 - FULL Lean Body Principles: Lose Fat Weight Fast! Audio Program, Program E-Book, Nutrition Program Guide, and Recipe E-book and more fun goodies! FREE BONUS #2 - 10% discount on continued coaching and support services. Don’t want to do the Lean Body Principles Lose Fat Weight Fast! By yourself? Why not experience the program one-on-one with me! I take you on an amazing 12-week journey to actualize your Inner Lean Body. Lean Body Principles Lose Fat Weight Fast! Individual fat loss nutrition program customized just for you. Modified each month as you get skinnier and skinner! Individualized exercise and personal training outline with monthly modification. One-on-One weekly coaching sessions in person, by phone, or Skype. Coaching transcripts for future review. Customized Weekly Assignments and reviews. Coaching Experience Price: $1,797.00 (not including personal training, travel and lodging for out of state clients).